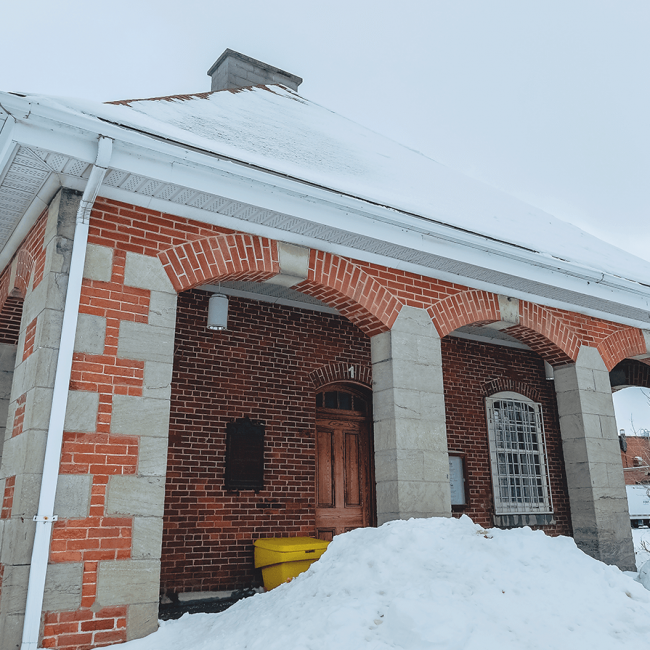 The Fort St-Jean Corporation is responsible for looking after the Royal Military College Saint-Jean (RMC Saint-Jean), which has over 350 years of military history! Located alongside the Richelieu River, this 48-hectar site is listed as a “National Historic Site of Canada” since 1923. It is open to the public and features a museum and numerous artefacts. Out of the 37 buildings located on the site, six are formally considered Federal Heritage Buildings. There is also a “Historic Square”, which is made up of four oblong buildings that were built back in 1839. This unique estate is managed by the Property Assets Management (PAM) team; they are responsible for maintaining and developing the site. The team is also dedicated to renewing, enhancing and highlighting the Fort Saint-Jean’s historic site using sustainable methods. With support from a seasoned team of professionals with different specialities, the PAM team conducts preventative maintenance and repair work to buildings and grounds, and carries out a variety of construction projects. The PAM team is also responsible for taking care of the power station, which provides heating to the entire estate. What’s more, they also take measures to save energy and manage the environmental aspect of the FSJC‘s activities. Is home to the Saint-Jean Fort—a National Historic Site of Canada since 1923 and the Fort Saint-Jean Museum (an on-site military museum). The Fort Saint-Jean is located next to the Richelieu River in Saint-Jean-sur-Richelieu (Quebec), and around 40 kilometers southeast of Montreal. Built in the 18th century, the remains of its walls are still standing, as well as its masonry foundations, traces of its posts and boundary ditches. What’s more, the remains of the fort built in 1776 can still be seen today; the two bastions are particularly visible. The boundaries of the site are similar to the ground contours of the forts built in 1748 and in 1775-1776. There is a relationship between this fort and the one built in 1748 by engineer Chaussegros de Léry, who acted on orders given from Governor La Galissonière. The fort was a meeting point for soldiers travelling to Lake Champlain. The fort was demolished on August 31, 1760 by Commander or Roquemaure but was rebuilt by Governor Carleton in 1775. In 1775, the current fort withstood a 45-day siege led by General Montgomery during the American invasion. Between 1665 and 1666, the French built five forts along the Richelieu River to protect them from the Iroquois’ attacks. The first fort was built in 1666 and abandoned in 1672, but its exact location is still unknown. The French returned to the fort in 1748 following the War of Austrian Succession. During the same year, engineer Gaspard-Joseph Chaussegros de Léry Jr. built a new fort in Saint-Jean. The fort featured a palisade around 3.5 to 4 meters (12 to 13 feet) tall, and a bastion on every corner with cannon embrasures. With exception to its masonry foundations, the entire fort was made out of wood. In 1760, the French abandoned the fort and burnt it to the ground. Nevertheless, the surrounding area remained a prime location as it was strategically located on the road leading to Montreal. During the American Revolution in the summer of 1775, the fort was built once again to provide defense against the Americans’ canon shots. The fort—designed using Sébastien Le Prestre, Marquis de Vauban’s model—withstood a 45-day siege led by the American General Richard Montgomery. Following the uprising of 1837, new fortifications were constructed on the fort’s grounds. 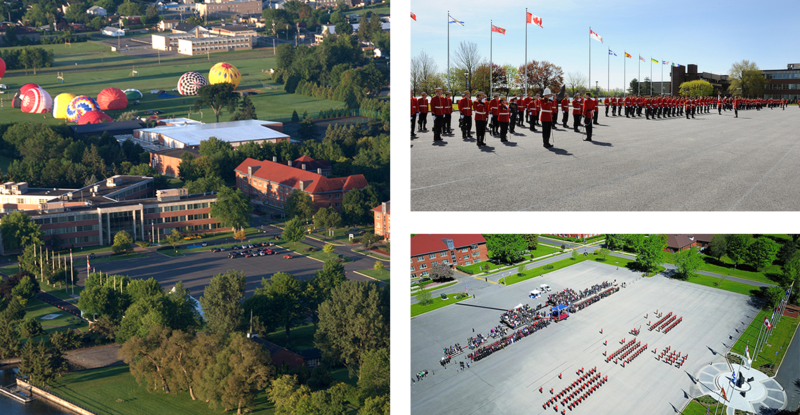 These buildings have been at the heart of the Royal Military College Saint-Jean since 1952. Sources : Historic Sites and Monuments Board of Canada, Minutes, 1923, November 2008. It’s location overlooking the Richelieu River. The remains of the second fort built in 1748, its southwest bastion, a part of the northeast masonry foundations, a portion of the stockade trench on the north curtain wall, as well as a trench located to the west. The discovery of a part of the stockade trench on the curtain wall, as well as a collection of artefacts that explain the historic use of the fort. The remains of the 1776 fort, including the earthen ramparts surrounding the site, and a tar pit that stretches over a disused portion of the southern redoubt’s defensive ditch (another uncovered part of the 1776 fort). The viewpoints of the Richelieu River from the fort. The in situ archeological remains of both forts and the siege in their original location, shape and materials, as well as intact, documented artefacts that have been recovered from the sites.